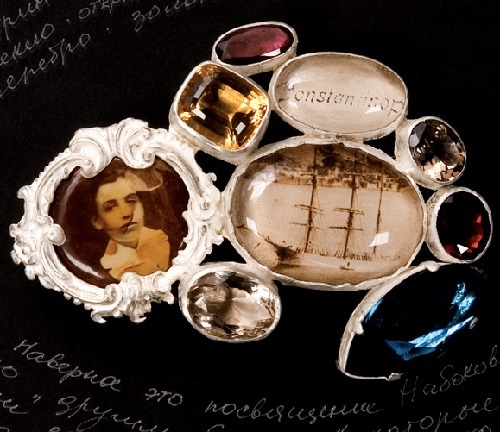 Simple forms and wise sayings in Latin – the main feature of the jewelry by Riga based designer Anna Fanigina. 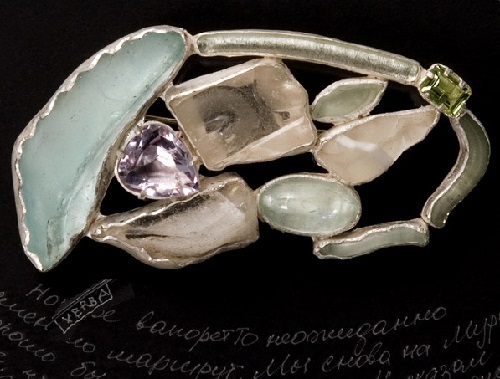 For more than 15 years, Anna creates her products under the brand name Verba. 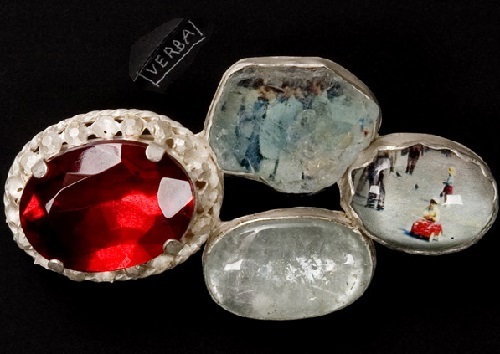 The admirers of Verba creations say that Latin wisdom tested for centuries, can actually support in a difficult situation and suggest the correct solution. 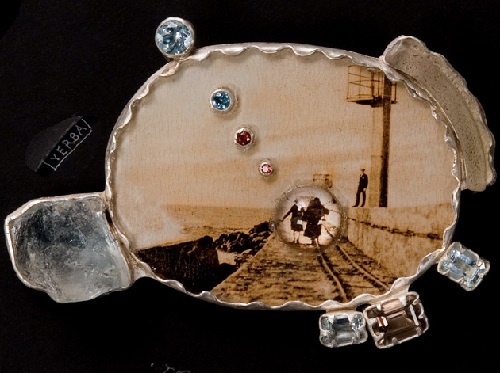 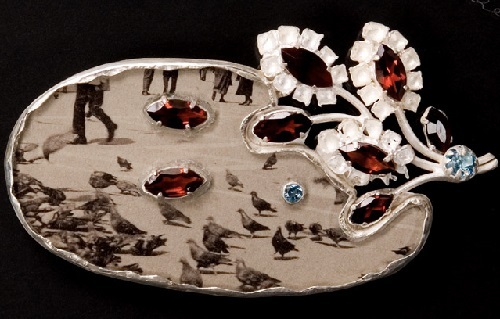 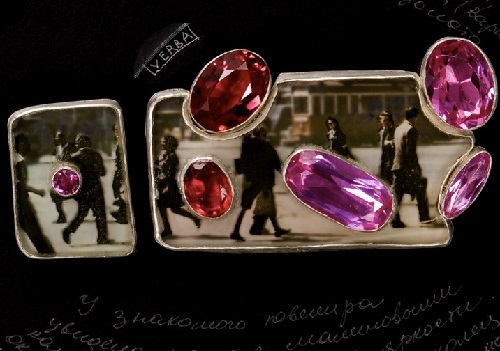 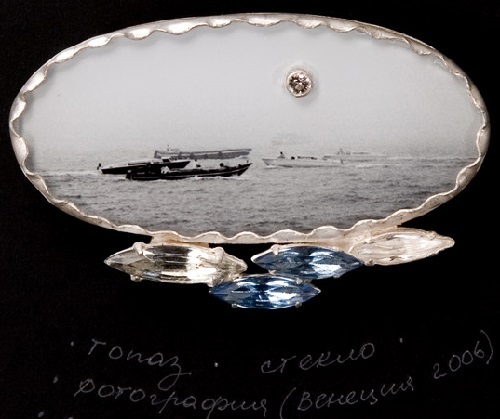 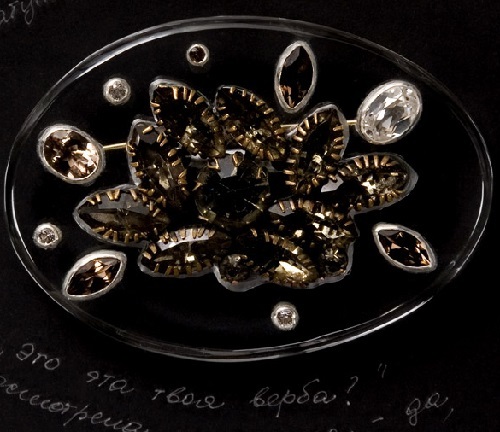 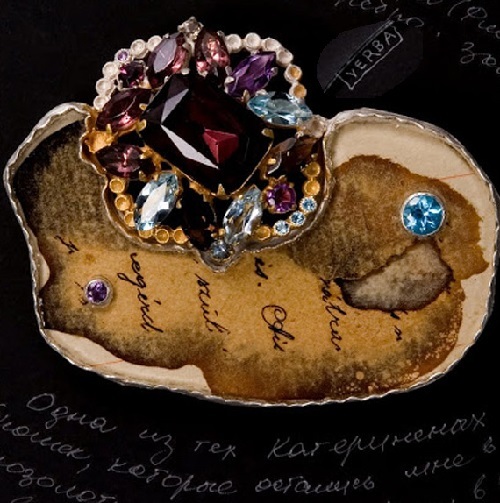 The most exquisite collection by Anna Fanigina – vintage brooches from the series ‘Everything Changes, Nothing Is Truly Lost’, was made in 2009. 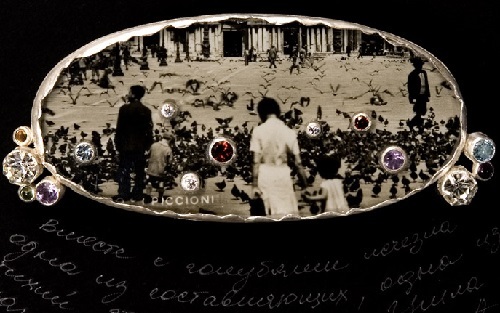 The main idea of the collection is transformation of things and feelings from the past – silhouettes of people, ships, pigeons. 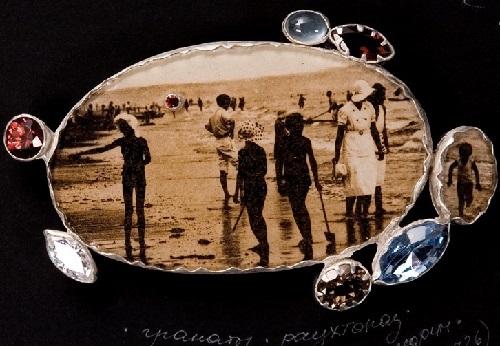 The collection consists of silver and golden brooches with inserted old photos vintage post cards and reproductions of old costume jewelry. 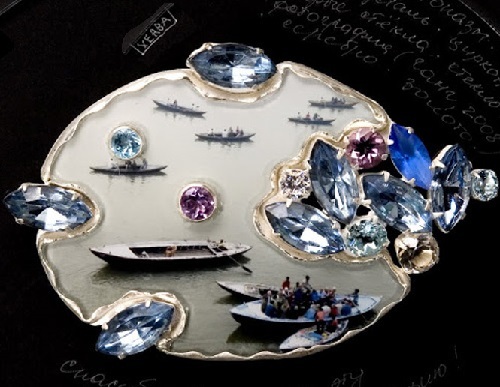 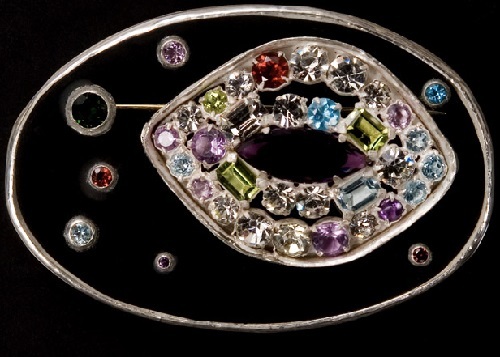 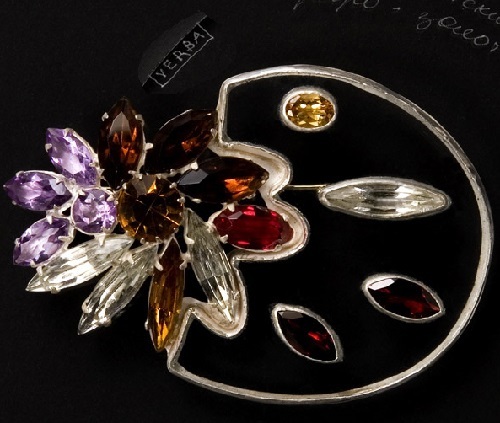 The materials used for creation of brooches – semi-precious and precious stones – topaz, garnets, aquamarines, amethysts, sapphires, antique and Murano glass. 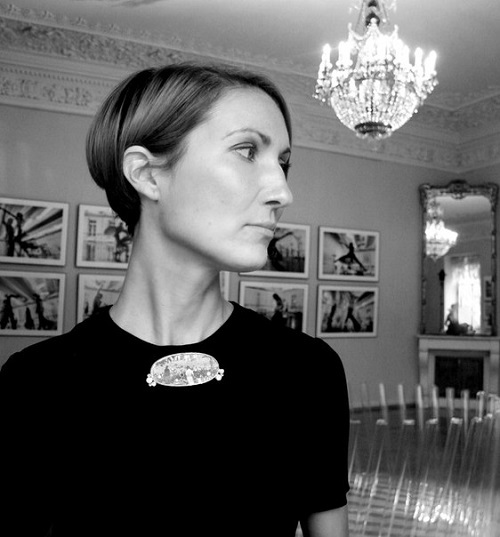 At university, Anna studied mathematics to become a teacher, but at some point she realized that she always wanted to do something related to art. 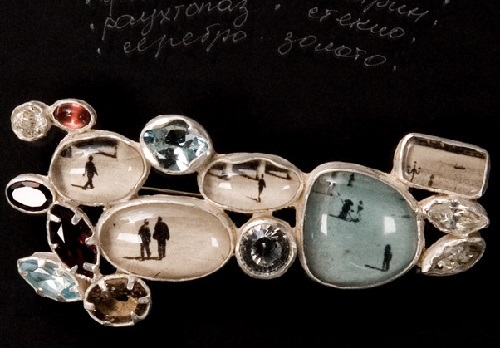 How to deal with this desire, she did not know. 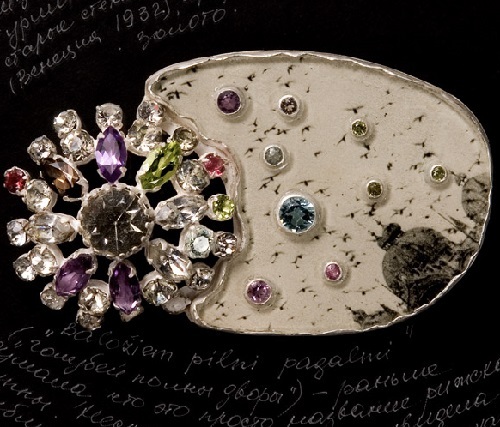 Once, she came across the newspaper article about the artist, who finished Riga College of Applied Arts, and Anna felt that this was what she needed. 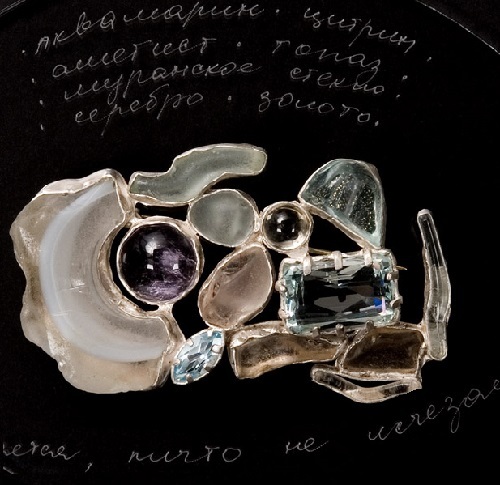 She wanted to be engaged in everything at once – from fashion and interior design to ceramics, as a result, she had chosen metal. 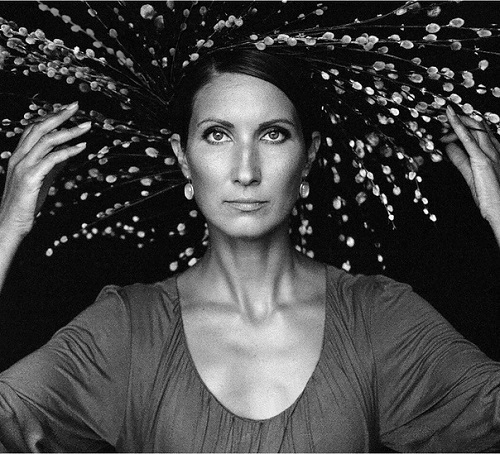 The relative eternity of this material attracted her. 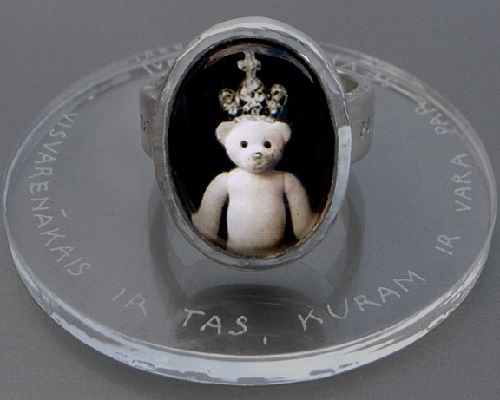 Anna’s first decoration was a simple fine silver ring. 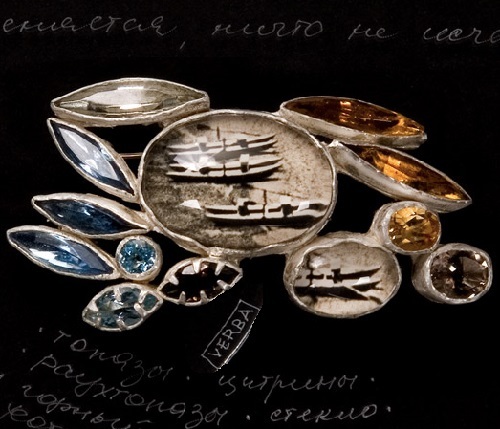 One of her friends learned that Anna had just entered the jewellery business, and was interested in metal design, but did not have a slightest idea how to do elementary ring. 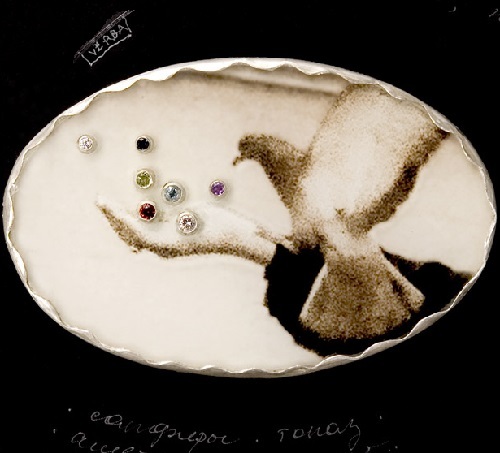 He invited her to his studio and arranged the first workshop. 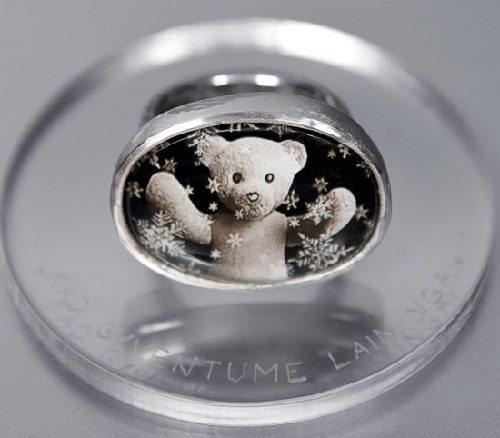 There, Anna learned how to bend silver, cut, solder, grind and polish. 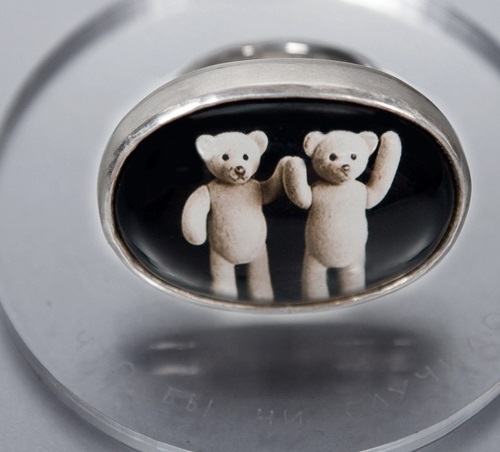 The Little teddy bears have won the hearts of many people, becoming the iconic friends of humanity. 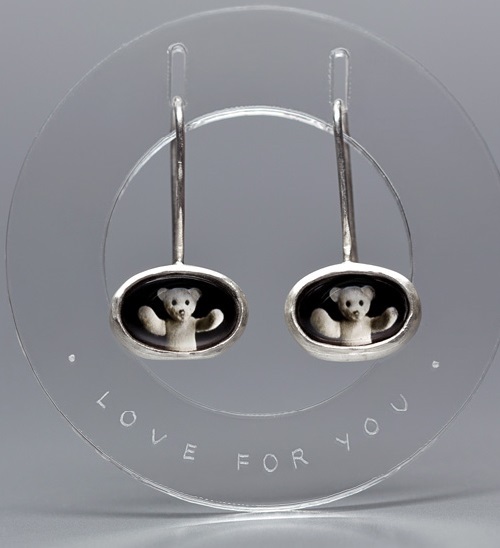 Anna Fangina has found the way to bring a message through them and even more – to bring happiness to their owners. 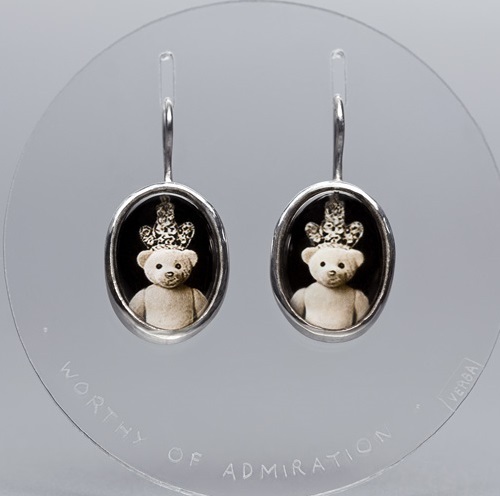 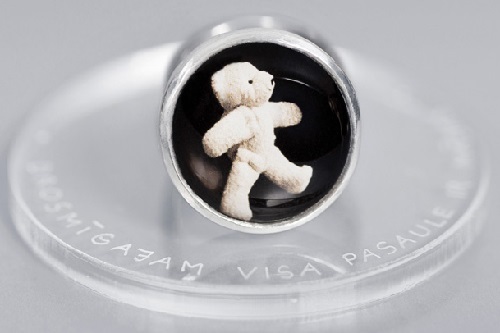 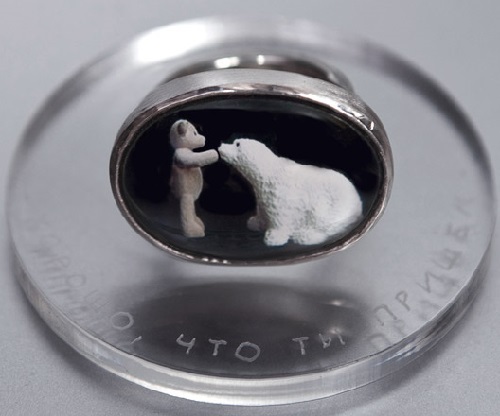 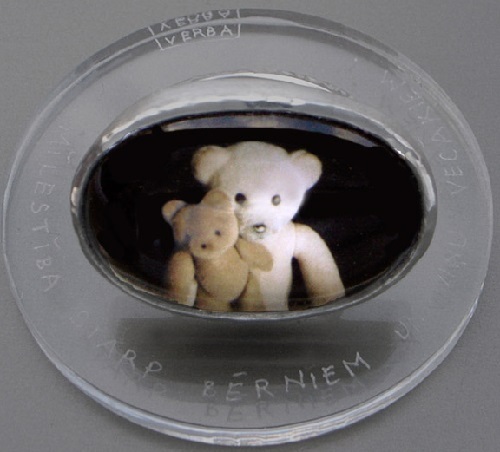 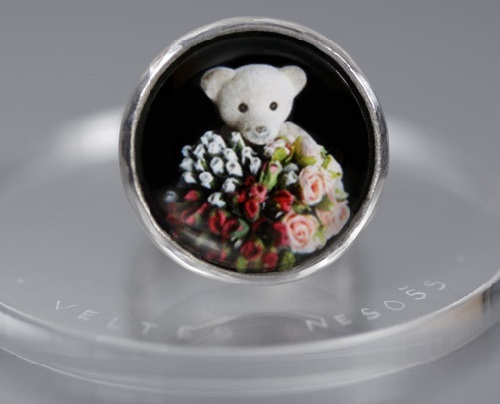 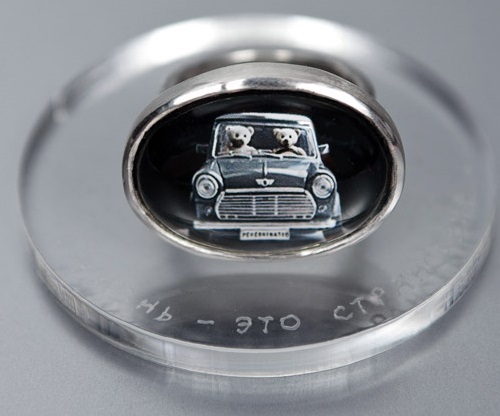 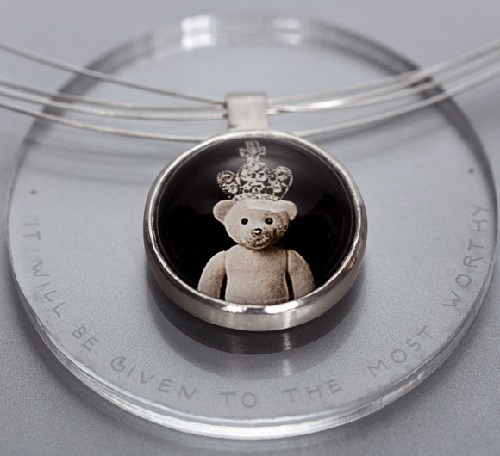 Her collection URSIS consists of charming bears in the form of rings and earrings, containing Latin words of support and wisdom engraved on them. 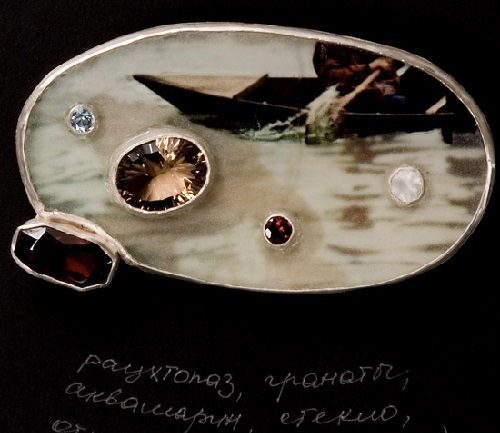 Such jewellery pieces is a kind of talisman, protecting the wearer.